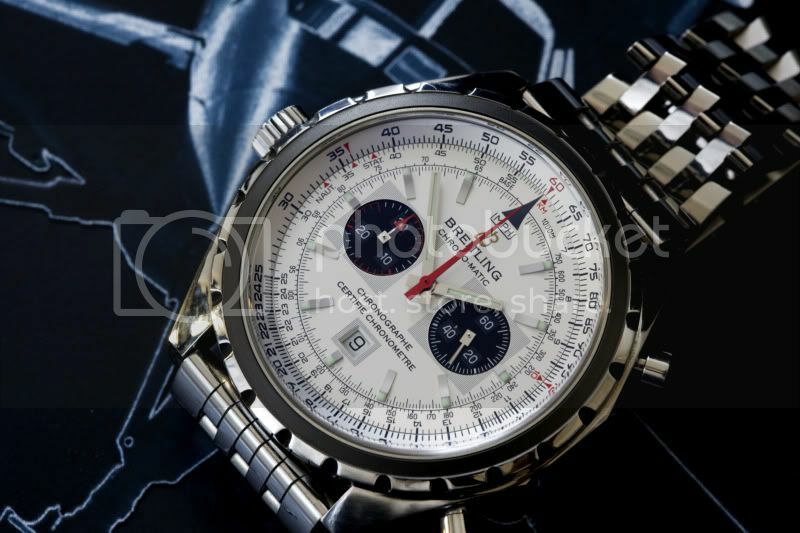 Just a few shots of the much underrated Chrono-Matic. 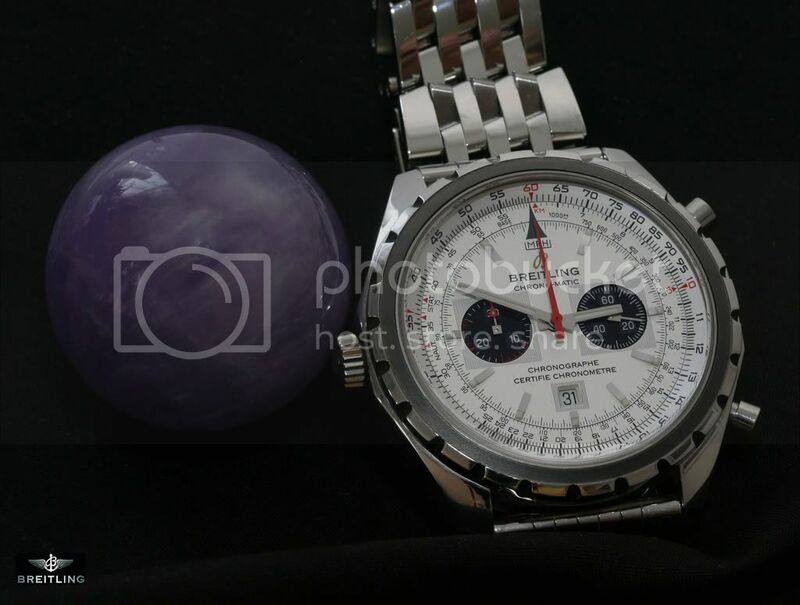 Still think it's one of the nicest Breitlings I own. Looks great on a steel bracelet or almost any colour strap. I'd passed up buying this at Heathrow Airport and regretted it. 3 weeks later my business partner called me and said it was still on sale. So. He bought it, and as he was travelling for work I waited weeks before it came to me. 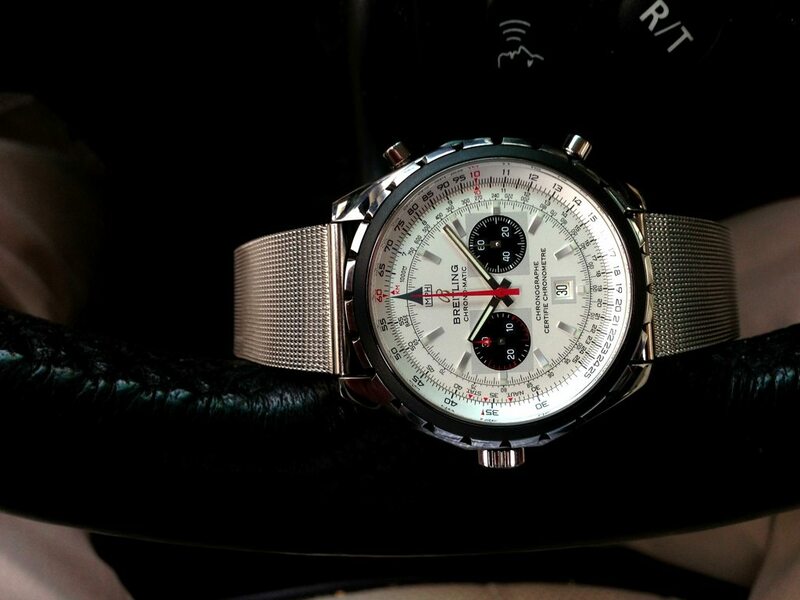 It's a Breitling classic in my humble opinion. 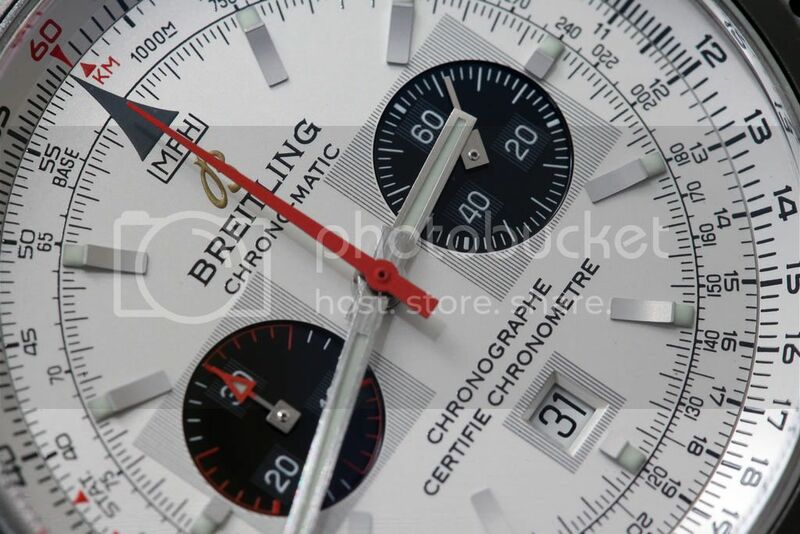 Beautiful - my favourite ever Breitling, I think, and I only wish I had the wrists to wear it. due to the short lugs these actually do not wear that large; have you ever tried one on? Yes I recall you mentioning the problems with converting the B01 to a lefty before, Fred. It's still a real shame though as I love the historic calibre 11 look. you'll have much to like or dislike until late 2019, moving forward at lightning speed, hope some models will make you smile. I confess not Fred. These are what, 44mm? 44,yes. but lugs are very, very short compared to regular, round cases. 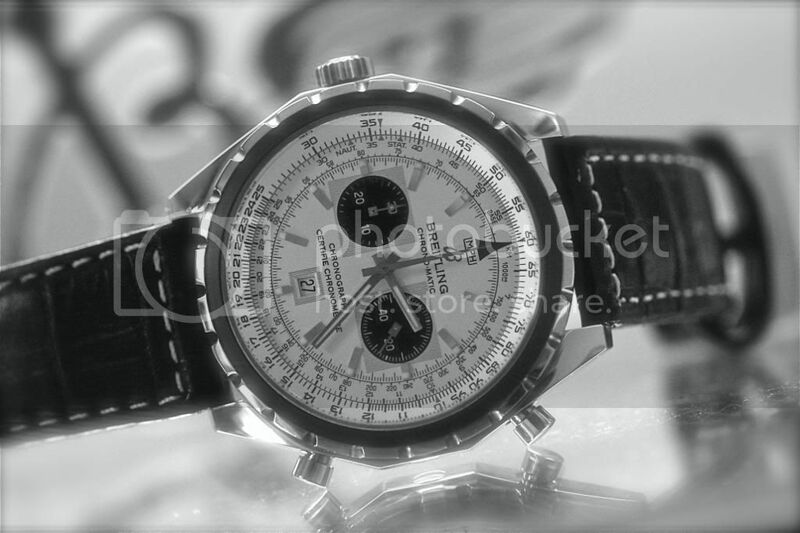 worth to try it on, it clearly doesn‘t wear larger than the Navitimers at 43 or 42mm. Thanks for this - if I get the chance I will. I'm genuinely excited to see what's coming!